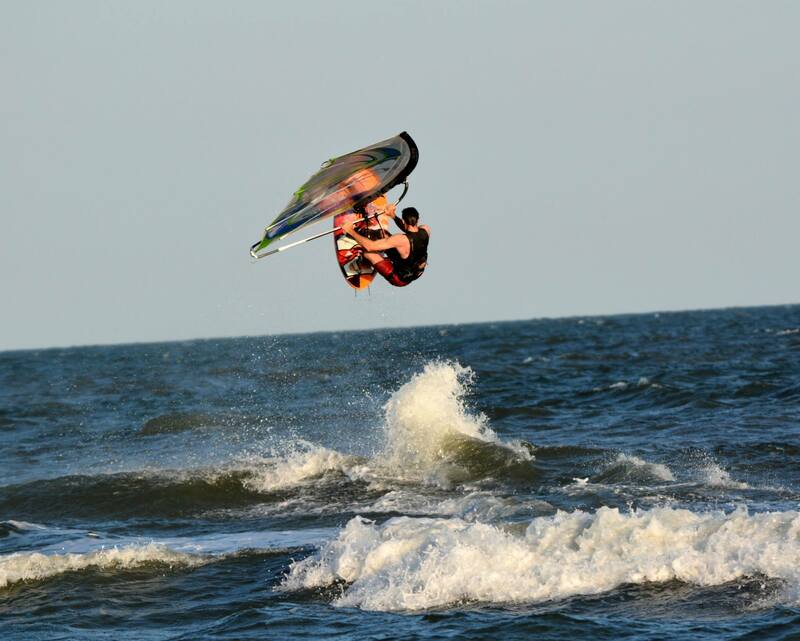 A little complicated those past few months, we are just out of wind over here (Cabarete). 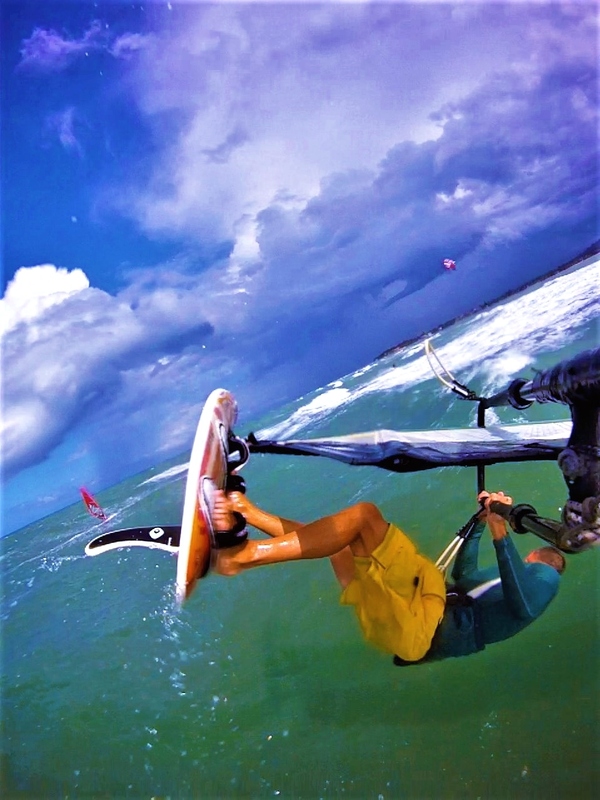 The only hope is to catch some wind between showers which I was able to do two days ago and caught 1/2h of wave riding. 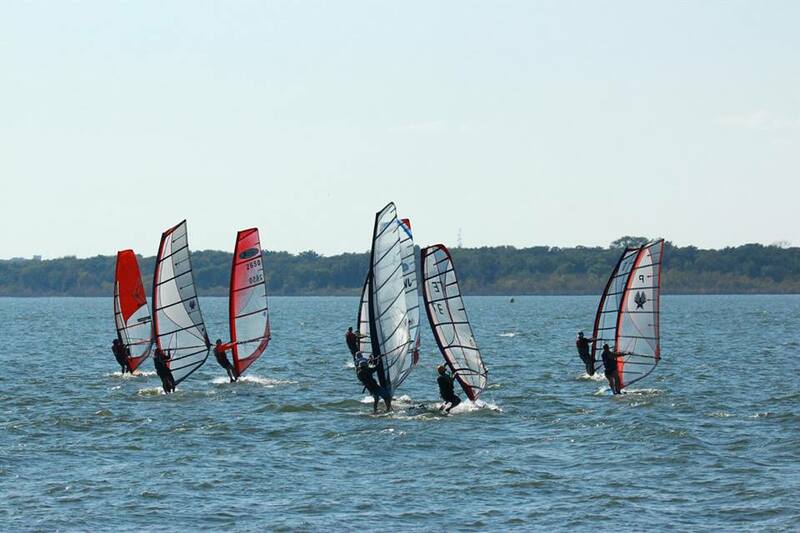 Alex Monroe foiling during a Wind Power Championships race on Lake Winnebago, just off Roosevelt Park, across from Wind Power Surf Shop, Taycheedah WI (Fond du Lac) 9-24-17. On the far left headed left for jibe buoy # 2 is Arden on a Starboard Phantom. Headed to the right to buoy #1 is Wayne on a Mistral Equipe, Niles on a Mistral Equipe and Andy with Mike on a Shark tandem. Then Randy on a Mistral Prodigy is headed right for buoy # 3. 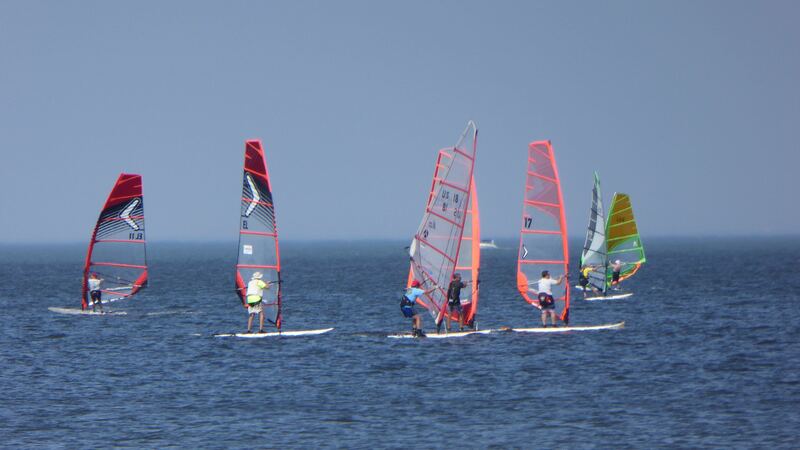 Then Victor on a Kona One is headed left for the downwind mark. Randy & Victor in the Sport fleet started first, all of the others are in the A fleet. 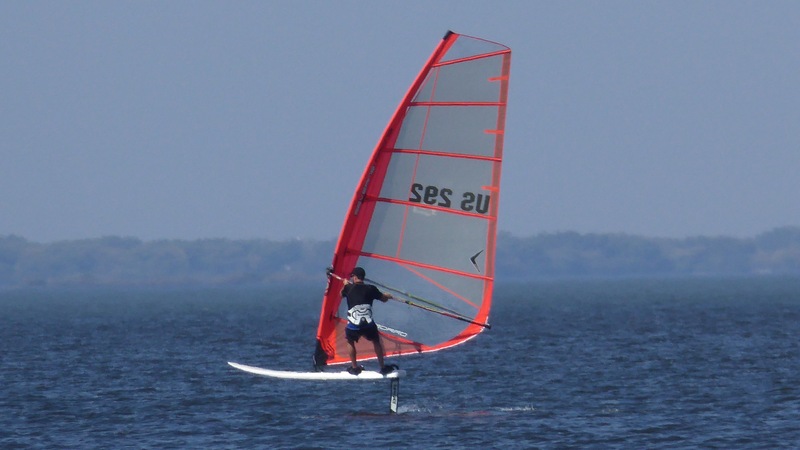 Sails used, Severne, Aerotech, Ezzy & Gaastra. The buoys are not visible in the picture. 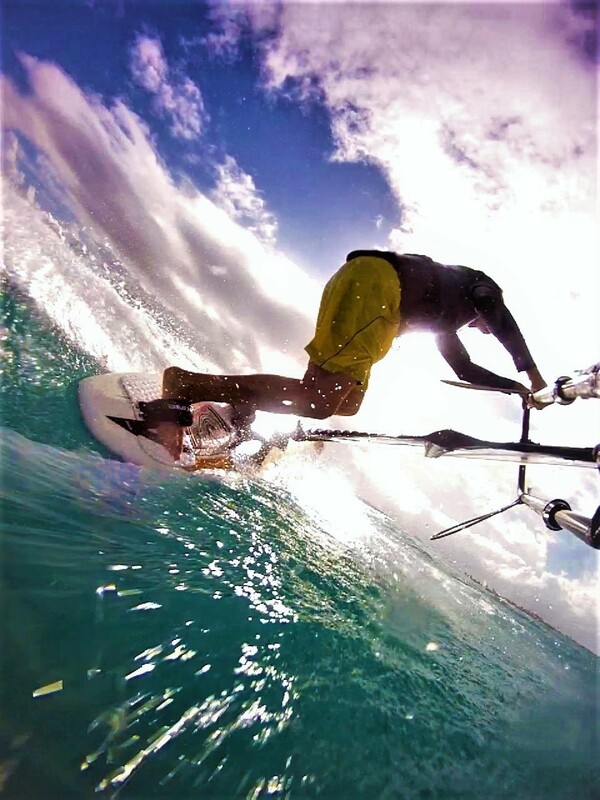 Great video Simon Rickard took with a GoPro during Kona One slalom at the Kona NorthAmericans in Clearwater FL the last weekend in October. Regular racing was cancelled that day due to winds over 30 knots. Early part of jibes at :31, 1:13, and 2:14; total time is 2:51. Simon is on a Kona One with a 7.8 sail. Dreaming of warmer days. 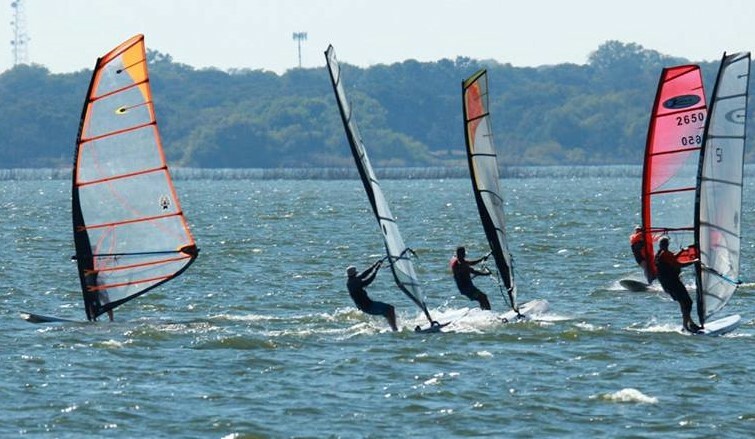 A couple of pics from last years Pumpkin Cup regatta at Lake Lewisville. Put on by North Texas Wind Riders. I am the only Kona One.